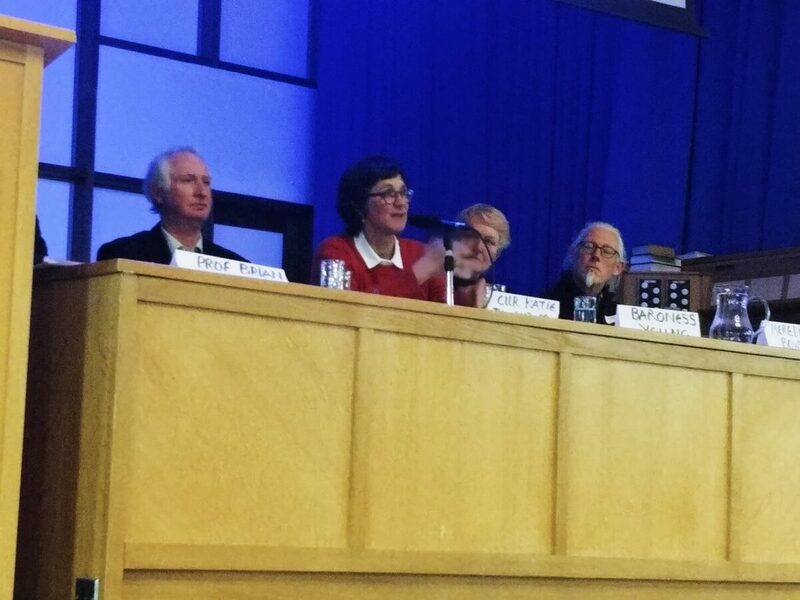 I was invited to join the panel and delighted to be involved with this important event along with Daniel Zeichner MP, Chair of Woodland Trust Baroness Barbara Young , the Chief Executive of the Bedfordshire, Cambridgeshire and Northamptonshire Wildlife Trust Prof Brian Eversham, and Meredith Bowles of Mole Architects. FeCRA represent 97 local residents’ associations and community groups across Cambridge, and at the event the chair of the meeting, Wendy Blyth, ran through some of their achievements, from questioning the County Council about procedure when ancient hedgerow was removed for a new cycleway, coordinating feedback on a space survey of Cambridge city centre, and organising a celebration of 53 new trees planted along Hills Road among many others. It’s been an exciting morning for me, as along with my fellow councillor Anna Smith I’ve been attending the Cambridge Half Marathon, and watching thousands of dedicated runners take to the streets of Cambridge. 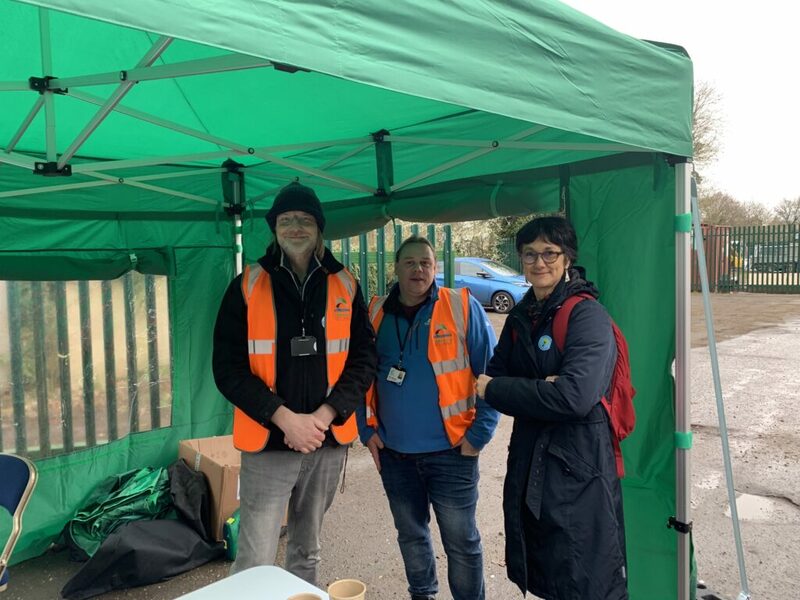 I’m the executive councillor for streets and open spaces, so my team has a lot of work to do getting things ready and clearing up afterwards, and I was really pleased to be able to thank them for all they do. As well as saying a few words as the runners assembled, Anna and I got to mark the start of each stage of the race with a klaxon, and I’ve also been at the finish mark to cheer the runners as they arrive and present them with their prizes. It’s been a fabulous day. 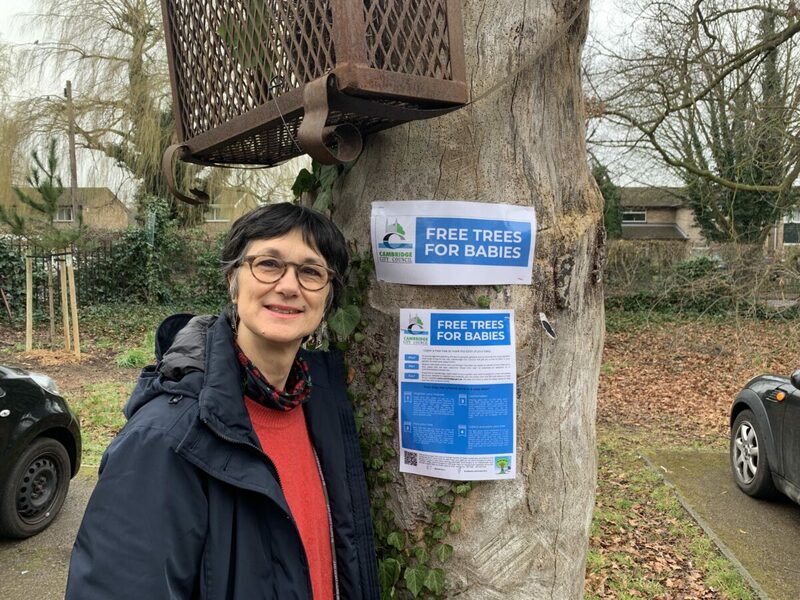 I visited Cherry Hinton Park this morning to join the City Council’s tree officers as they gave out free trees to parents who had signed up for the council’s long-running Free Trees for Babies scheme. Apparently the most popular tree is the winter-flowering cherry tree, not just because it looks beautiful but because it fits in the smaller Cambridge gardens! This Sunday the Cambridge Chinese Community Centre held its Spring Festival Fair and Gala Performance at the Netherhall School. There was Chinese food, entertainment activities and Chinese New Year gifts and decorations, and I was fortunate enough to attend with the Deputy Mayor, Councillor Gerri Bird. The sudden death of my fellow councillor and Mayor of Cambridge Nigel Gawthrope has left me shocked and saddened. Nigel was a committed and dedicated ward councillor, an enthusiastic and energetic Mayor, and a supportive friend to all of us who worked with him. I would like to send my condolences to his family. 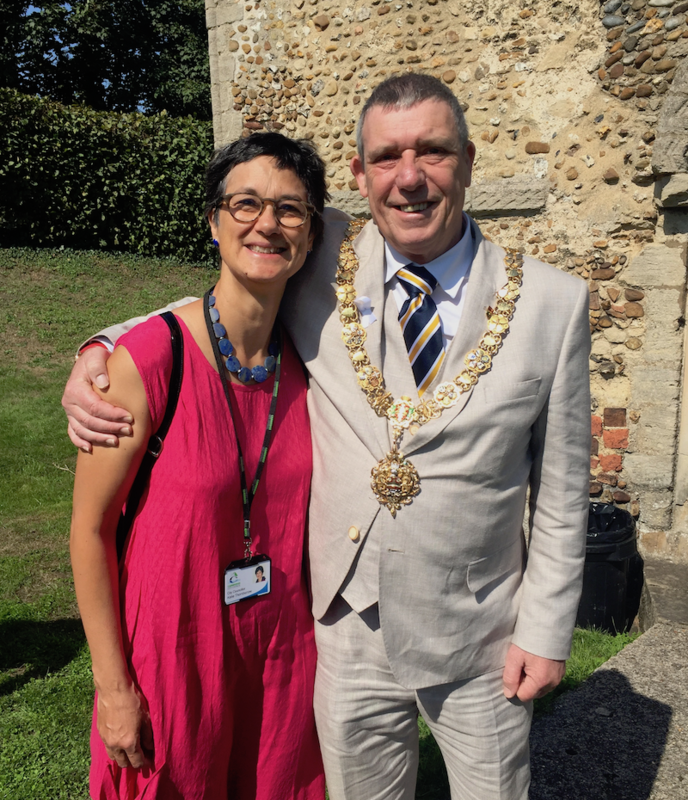 As a newly-elected councillor Nigel offered me a great deal of support, and I learned quickly from him that you should not be intimidated by the complexity of council proceedings or the formalities of office, but should just get on and do the best job you could – while enjoying yourself wherever possible. I was lucky enough to accompany Nigel on a range of official engagements, such as the official opening of Stourbridge Fair and the Mayor’s reception for the Christmas lights, and it was always clear just how much he enjoyed being Mayor and how much energy he put into the role. He understood that as Mayor he could bring attention to issues and causes that might otherwise not get noticed, and he was dedicated to doing everything he could for those who needed help. I was honoured to serve with him on the City Council, and I know that all of my fellow councillors will work to ensure that Cambridge delivers on the promises he made to those he represented in King’s Hedges and throughout the City. The petition calling for a temporary speed reduction on the guided busway in Trumpington now has nearly 4000 signatures and we are still pushing hard for the proposal to be adopted by the bus operators. Yesterday I spoke to the County Council about the issue, as they are the authority responsible for the busway. I felt that the councillors understood the issues, and want to thank them all and especially Jocelynne Scutt for their comments. The meeting has been reported in the Cambridge News – thanks to Josh Thomas for being there. We have already seen some changes – the white lines and warnings on the busway are a welcome development – but we need more. It’s hard to miss the growing number of cargo bikes in Cambridge, being used to ferry everything from children to shopping to deliveries around. They use a lot less energy than cars do, and take up a lot less space, and I think they are a really valuable alternative means of transport. Like many car owners, I’d like to use my car a lot less, but the thought of cycling a long distance with a week’s shopping, especially when it’s got heavy things like cat food or bulky things like toilet roll, is a bit of a deterrent. 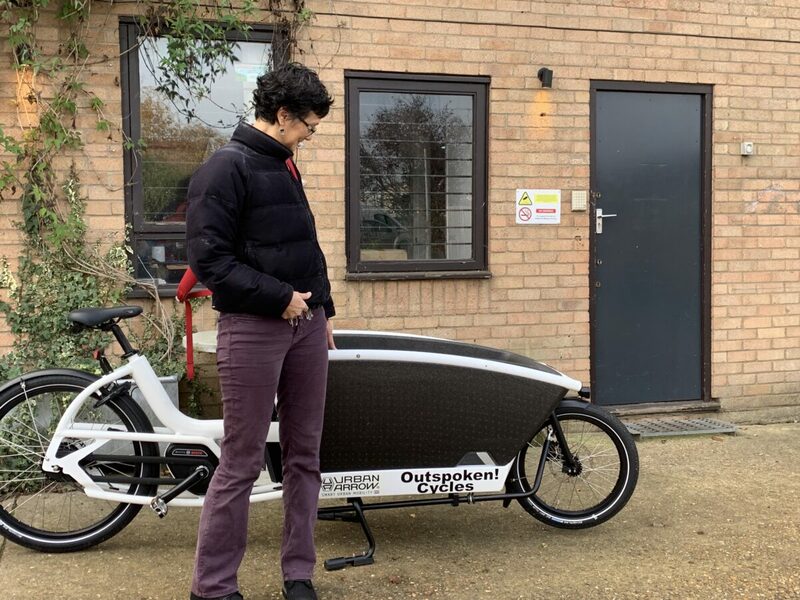 Which is one reason why I was excited to see that there’s a new generation of electric cargo bikes, offering those of us who like to cycle but could do with a little help the perfect alternative to a car. How Can We Make the Guided Busway Safer? The tragic death of Steve Moir as he cycled from Cambridge Assessment’s office along the guided busway on the narrow section between the station and Long Road has saddened all of us, and my thoughts and sympathy are with his family, friends and colleagues. 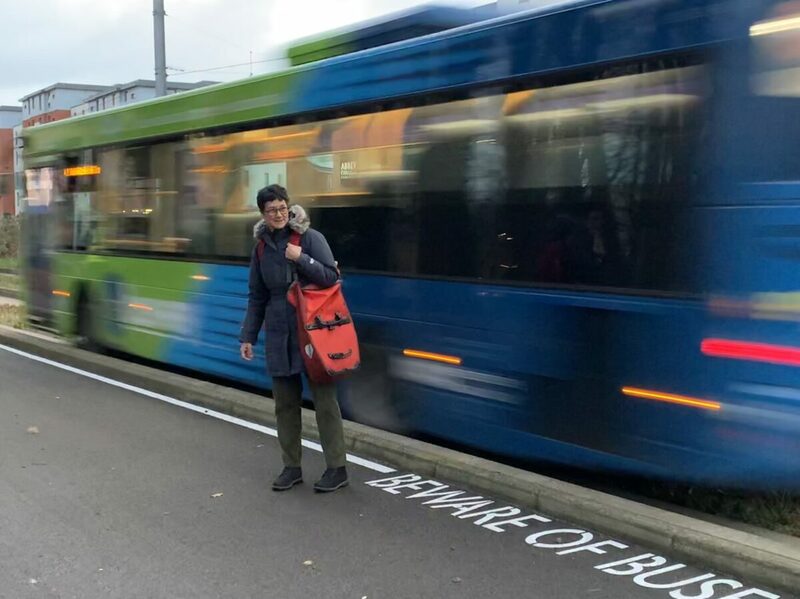 It is the first time such an accident has happened, and it has shown clearly what many people have been saying for years: that stretch of the busway is a massive public safety risk, and it cannot be allowed to run as it does now. Unless we act now others will die or be injured, like the unfortunate tourist who was unaware that buses ran along what he thought was a water channel and was clipped by a bus, or the passengers hurt when buses have derailed. My view is that the single thing that would make a real difference would be to reduce the speed of the buses to 20mph in that area, at least until robust safety measures can be put in place. The slight increase in journey times and need to rethink the timetable is surely worth it if it reduces the chance of a pedestrian or cyclist being injured or killed? If properly enforced it will also reduce the risk to passengers. 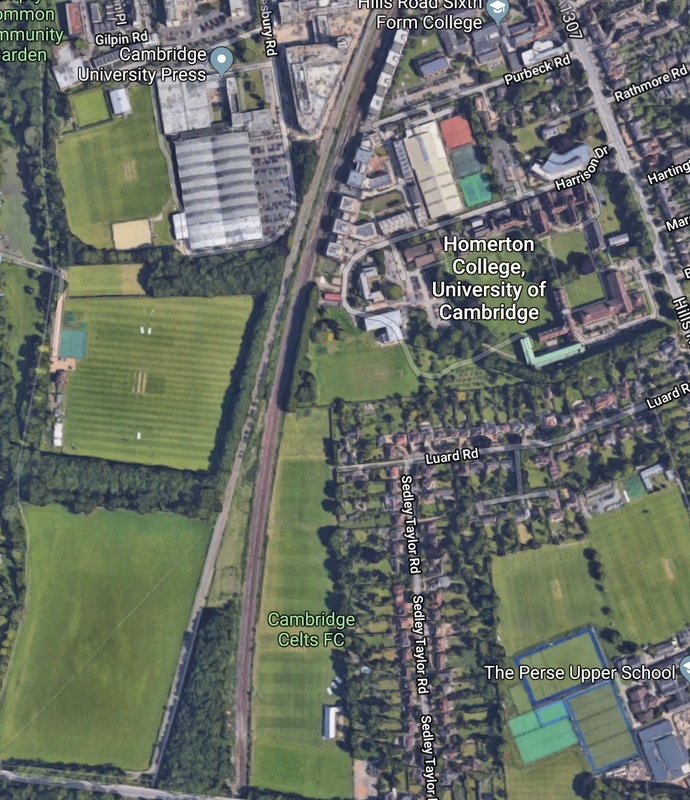 Yesterday we heard about the tragic death of a cyclist on the guided busway after a collision with a bus. This is under investigation now, and we must not draw conclusions about the circumstances of the incident, but my thoughts are with their family and friends. 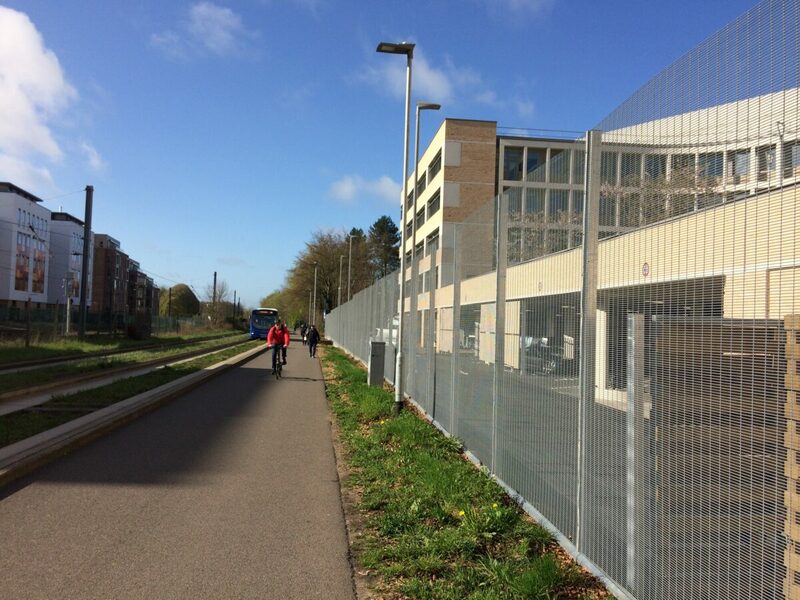 It was less than three months ago that I was walking down the Trumpington section of the guided busway with four members of the highways safety and cycling team to discuss options for improving the safety of this route for pedestrians and cyclists. I had also met with one of the bus operators the previous day. My main request was to have the speed on the buses reduced on the section from Clay Farm to where it joined the road near the station, from 53mph to 20 or 30 mph. I had calculated that this would only increase the journey time for this section by about 3 minutes. It was agreed that some visibility issues could be improved, along with highlighting the raised kerb of the track and the provision of warning signs, but the option for reducing the speed of the vehicles was not within their powers. Some of the issues were explained to me. 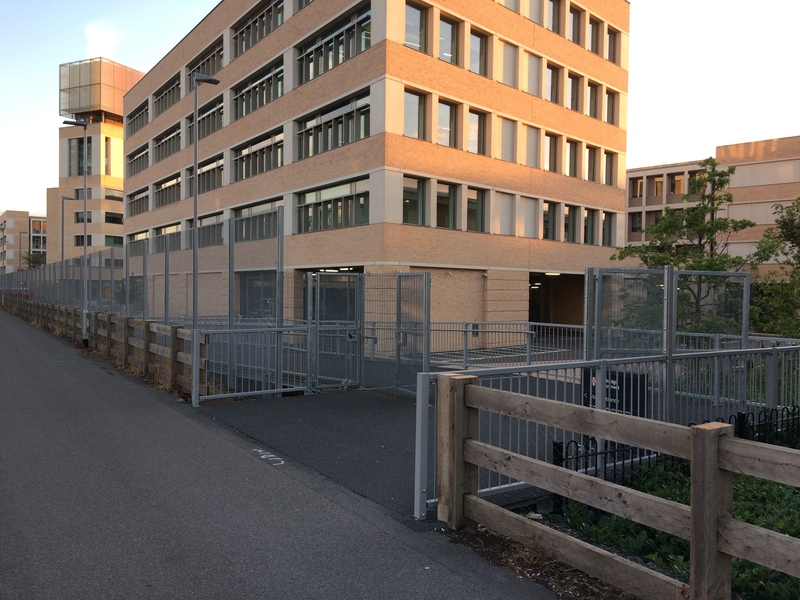 The guided bus tracks were on private land, speed limits could not be enforced and, most crucially, it was not a road so the police had no jurisdiction, but it was not a railway either, so the Health and Safety Executive had no jurisdiction either – there seems to be no single body accountable for safety on the busway. After yesterday’s awful accident I think we find a way to make progress here, before something else happens. It has highlighted again how vulnerable pedestrians and cyclists can be to large vehicles that travel at speed close to the pathway. I use this route often and sometimes get frightened by the fast, heavy vehicles. As well as safety measures like road markings, surely is it time for an accountable safety body to be put in place. What other vehicle transport system does not have this? As a Labour campaigner and now councillor, I’ve always been clear that I support the EU and voted to remain in the 2016 referendum. 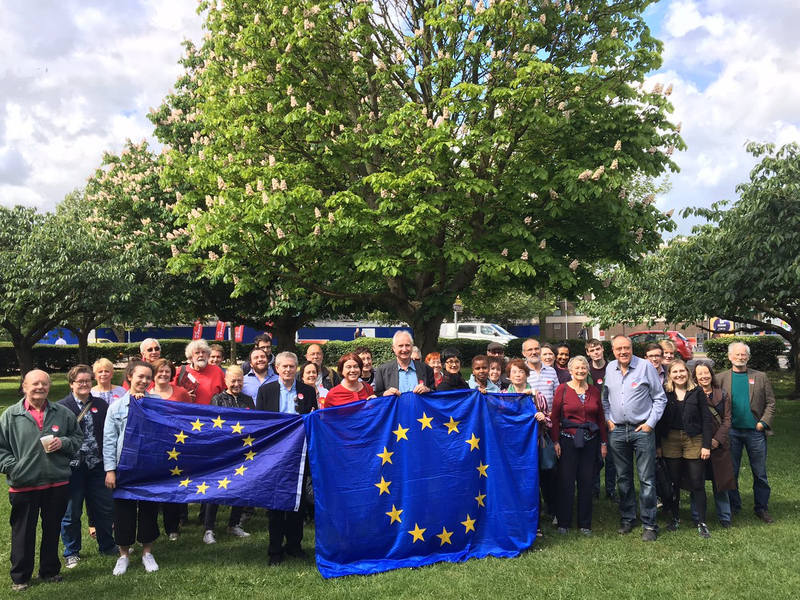 I have said many time that I would work hard to minimise the negative impact of Brexit on Trumpington and the whole of Cambridge. While leaving the EU now seems inevitable, there are many issues to consider. First, it seems to me that there’s a strong case to investigate the 2016 referendum, and that the Electoral Commission is not equipped to do this. In August over 50 MPs and peers wrote to the Metropolitan Police and the National Crime Agency asking them to investigate the Vote Leave and Leave.EU campaigns, and I support this too. If an investigation discovers that the referendum was compromised then we have to ask whether we want to rerun it under more careful supervision, or not. It would be simplest if the Article 50 process could be paused until these investigations were complete, but the political reality is that this is very unlikely to happen – neither the British government nor the EU27 seem to see it as a possibility. Since it seems unlikely that there will be an investigation, we should ask what else can be done.